I don’t know about you, but I love a good party platter. They are so versatile and can be used for large parties or simple dinners. I often use a good wooden bamboo cutting board for most things, but I also like to switch it up a bit and use different types of platters as well for different events such as birthdays or holidays so I’ve searched up some cute and versatile platters to share with you! 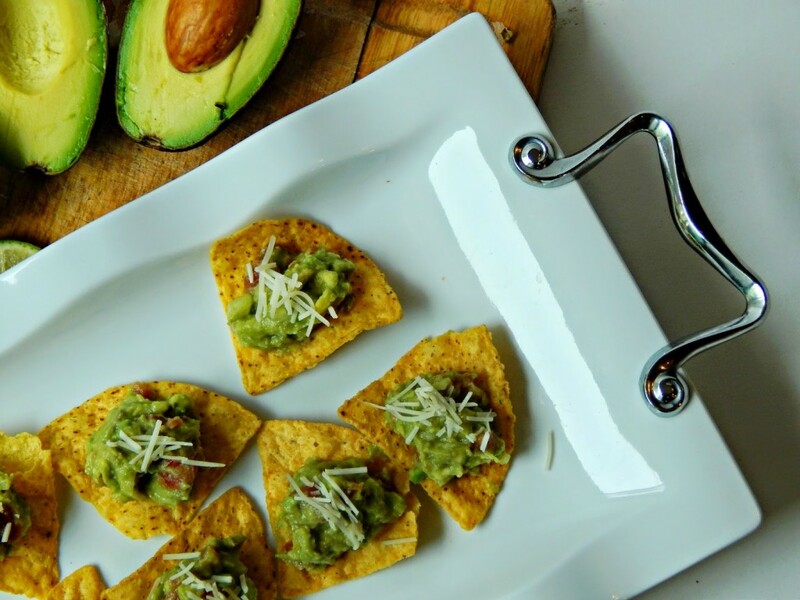 Each of them are unique and can be used for many different types of snacks and appetizers. 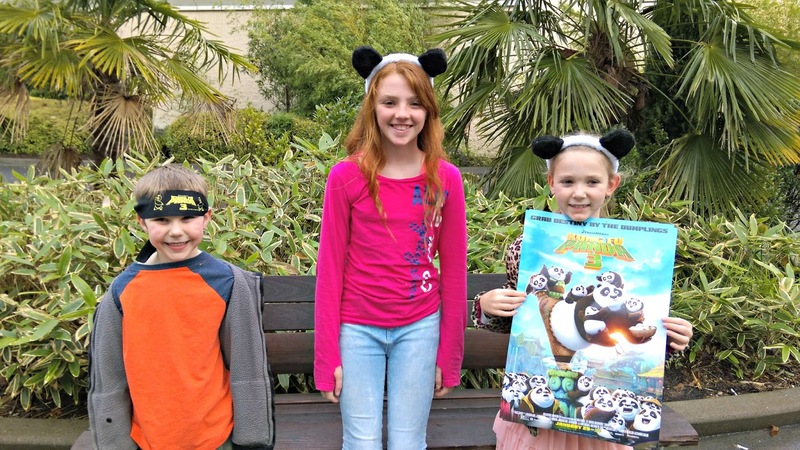 Kung Fu Panda 3 hits theaters today, but my family and I were lucky enough to snag an invitation to a local red carpet premiere a couple of weeks ago and excitedly went to the theater to watch it before it was released. We have always been a fan of the Kung Fu Panda movies, so naturally the kids were very excited to see movie number 3. I went mostly for the kids at first, with no idea that I would end up loving this animated feature so much! I still can’t believe that we are already well into spring – it seems like just yesterday it was Valentine’s Day! There are quite a few events happening for us over the next month like Noah’s birthday, his preschool graduation, Mother’s Day, Cinco de Mayo, and of course Memorial Day – lots of excuses to celebrate! Noah and Emma will be starting T-ball soon, Anika’s soccer is well underway and the two sports will overlap until the end of May, so I’m hunkering down for 6 weeks of crazy fun. 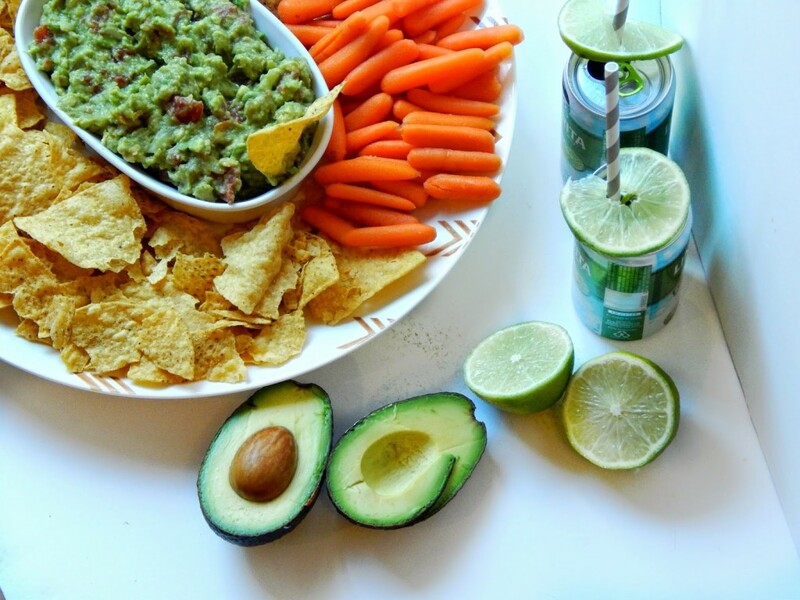 I’ve been collecting some quick and easy recipes and stocking up on snacks and beverages to have on hand for when parties happen or last minute friends arrive. Planning ahead and picking up a few extra things while shopping really helps me eliminate any last minute anxiety that I may have for parties or entertaining. I always like to have extra food and drinks around, in case the party is bigger than anticipated, or just to have available if a friend randomly stops by for a visit. 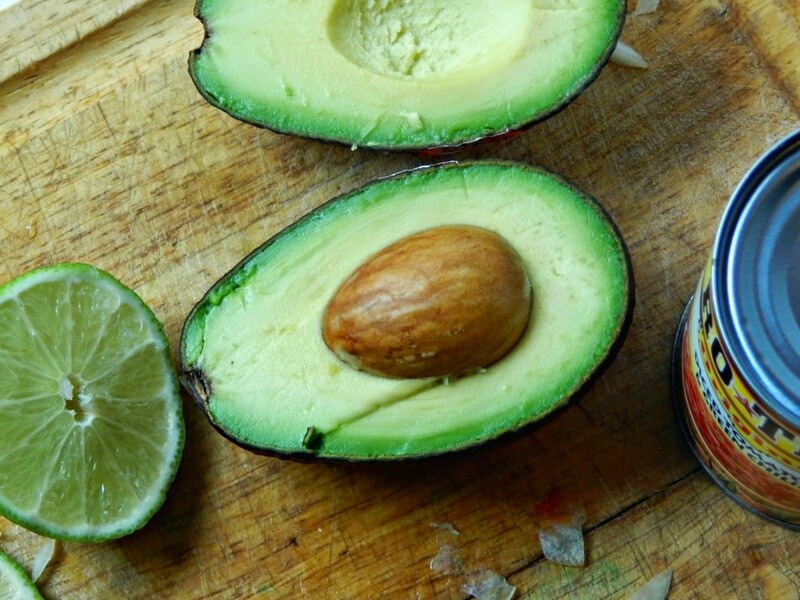 One of the recipes I’ve found and filed away for future reference is RO*TEL’s Rockin’ Guac – it’s a really easy to make homemade guacamole that tastes good and seriously only takes a couple minutes to create. 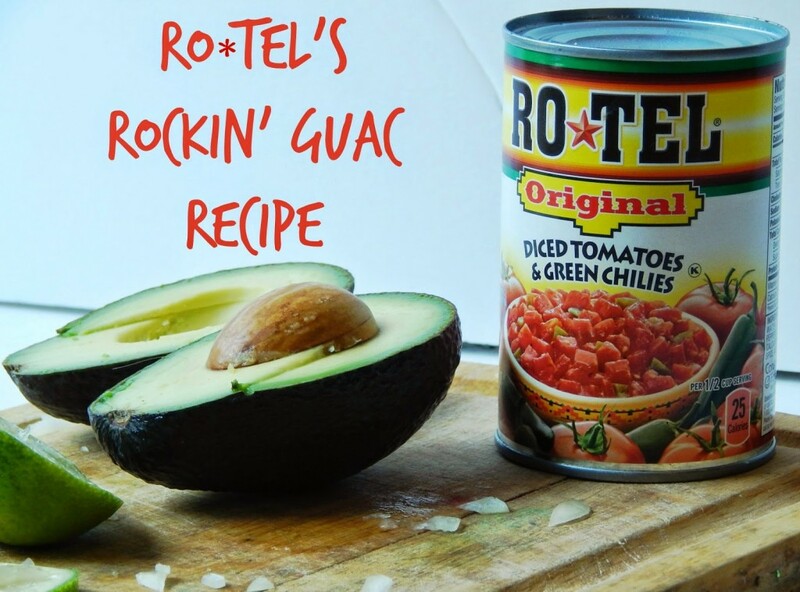 You use one can of RO*TEL’s Original Diced Tomatoes & Green Chilies in the recipe which gives the guacamole a little zesty flavor. then season with salt and pepper. 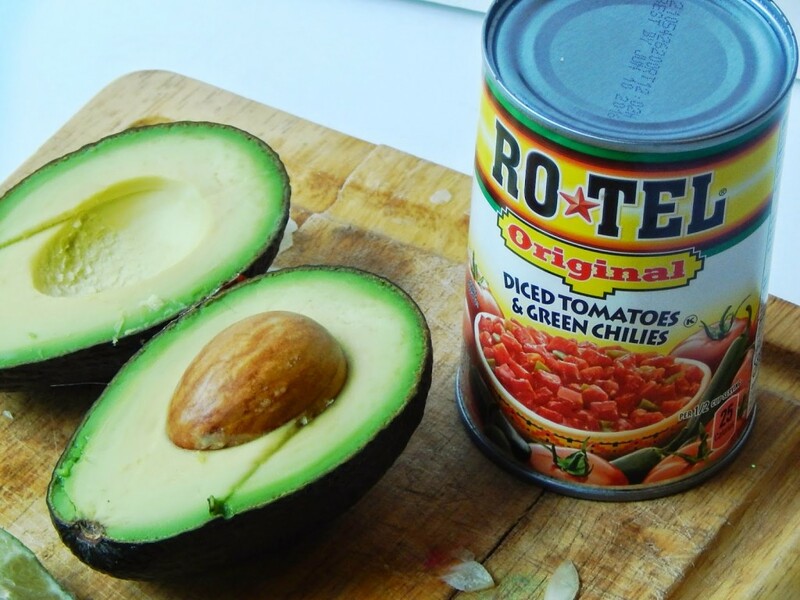 The recipe can also be found on the RO*TEL website, which has a how-to video and other great tips. 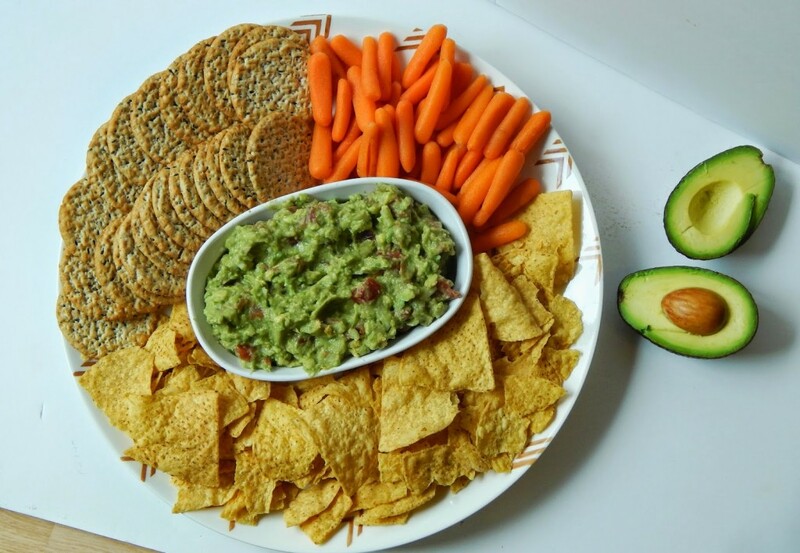 I also like to buy a variety of chips, crackers, and other things like carrots and celery to have on hand because they can quickly create a tasty appetizer/snack tray. I have plenty of juice boxes and water at my house, but I like to buy a few special adult beverages drinks to have available for guests (or myself!) 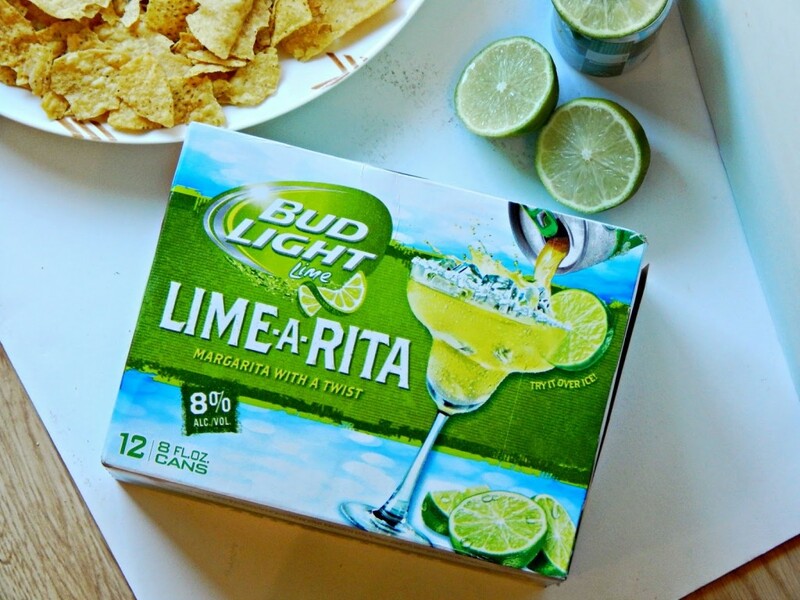 and I’ve recently discovered Bud Light Lime-A-Ritas – if you like margaritas these are a great option to serve quickly with the same great margarita flavor – and it happens to pair well with the RO*TEL’s Rockin’ Guac! So I have chips and crackers, adult beverages, and lastly I know that this sounds ridiculous – but always make sure you have ice! I know many of you have an automatic ice dispenser in your freezer, but for those of us who are behind on the times – always make sure you have plenty of ice on hand to quickly cool down a drink, or to keep food at appropriate temperatures. We make our own ice cubes the old fashioned way, but I like to keep a bag of ice in our second freezer because it’s come in handy more times than I ever would have thought. 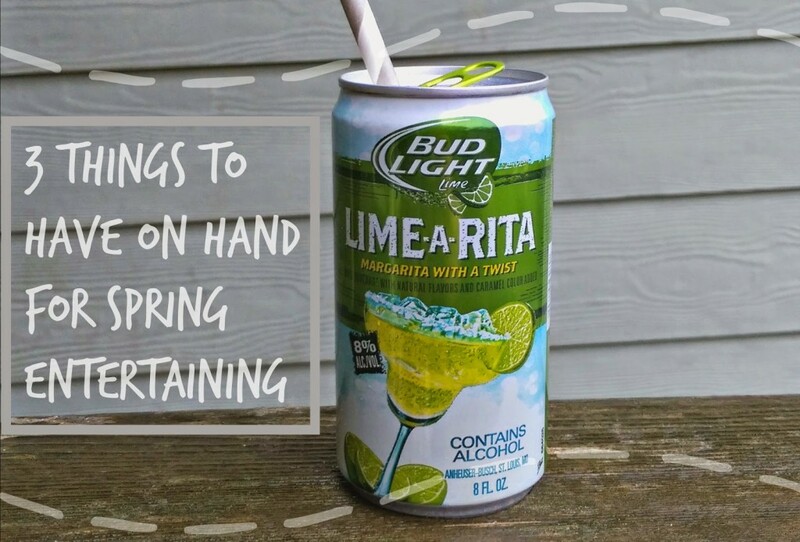 Do you have any special recipes that you use for spring entertaining? What is the one thing you always have on hand for guests? 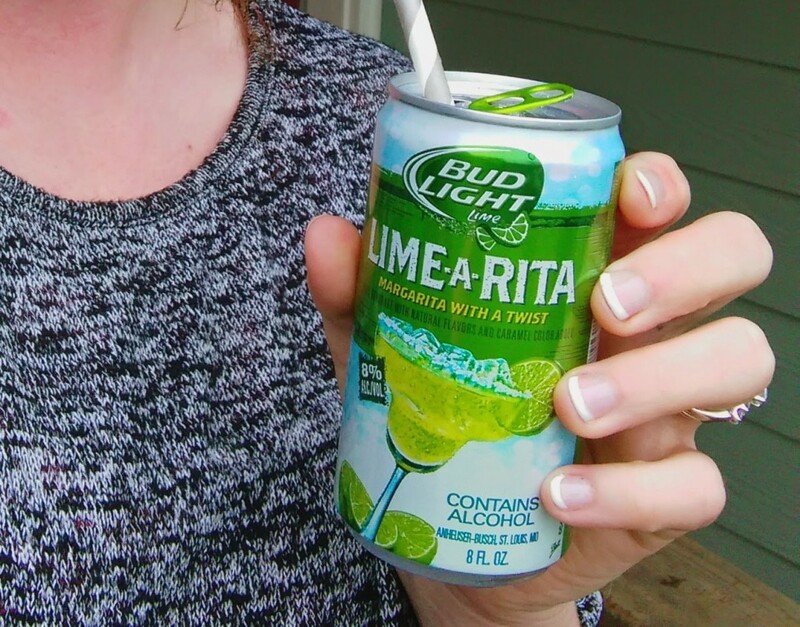 Bud Light Lime-A-Rita® is a registered trademark of Anheuser-Busch.